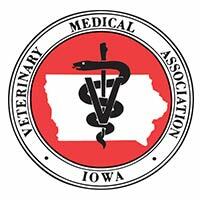 Holistic Medicine (Whole-istic) medicine helps explain the general approach that we take when evaluating pets at the Iowa Veterinary Wellness Center. Modern medicine tends to look at the symptoms and then address the problem by trying to alleviate those symptoms. Alternatively, holistic medicine tends to look at the symptoms and try to figure out why those symptoms are present. We then try to address the root cause of those symptoms and if the treatment is successful, the symptoms subside. Some examples may help explain the approach. 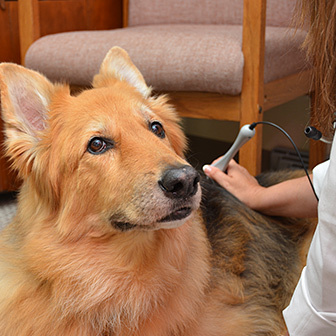 Let's imagine your pet is presented with mild kidney failure. Blood work and other diagnostics have ruled out infections, tumors, etc. as being the cause of the kidney failure. It is decided that it is just "old age." Modern medicine will treat by giving fluids and possibly a lower protein diet; nothing can be done directly to treat the failing kidneys. 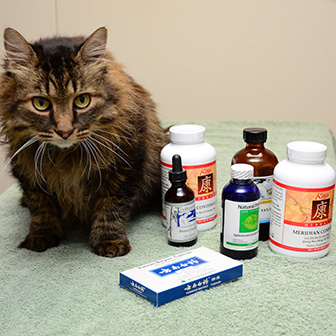 However, holistic medicine will use acupuncture to increase energy and blood flow through the kidneys. We will administer fluids when needed. We will alter the diet but not necessarily to one using low protein. Instead we utilize foods that have an emphasis on the quality of the protein and the quality of the diet in general. The next step is that the patient is matched to herbal formulas, usually based on using a root herb called Rehmannia, and supplements that can help with regeneration of kidney function. The result is usually return to normal or near-normal kidney function and often years of quality life. 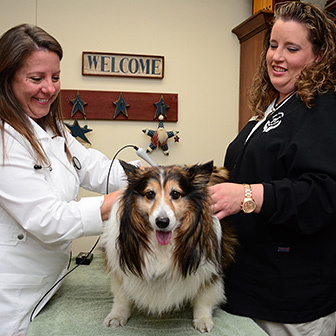 Now let's imagine your pet has arthritis of the hips, an extremely common problem causing pain and loss of mobility. Conventional medicine will evaluate the pain and use medications that try to reduce or block the pain. Unfortunately, many of the drugs that are commonly used for this purpose can cause severe side effects, especially if used chronically. Holistic medicine will use acupuncture to help decrease the pain and start the healing process. Diet, supplements, and various herbs are used to reduce the inflammation, increase blood flow and help the body try to reverse the arthritic changes in the joints. The end result of the holistic approach is usually a long-tern increase in the quality of life. We consider conventional medicine to be the best medicine available for acute and emergency conditions. However, for treating chronic conditions (anything present for longer than two weeks), we think the holistic approach is best. Sometimes holistic medicine does include modern modalities. 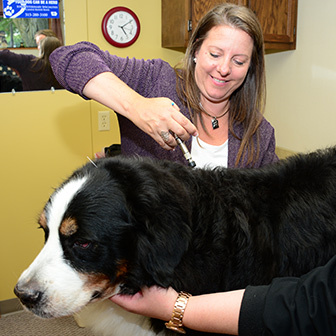 The holistic approach means doing what is best for the total health and welfare of the pet and if that treatment regimen should include modern methods, we offer those as options.